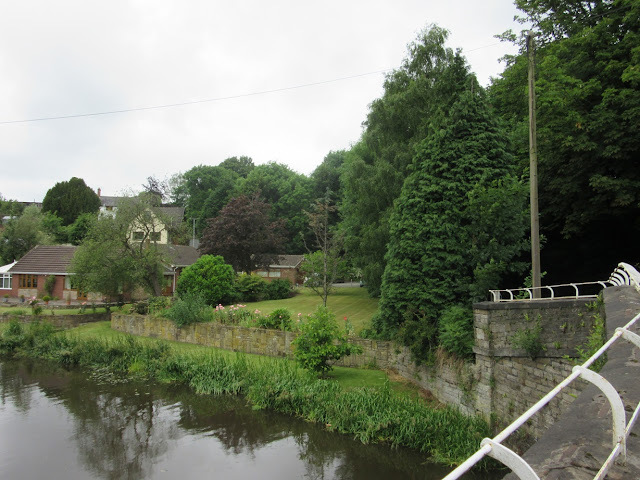 The Globe Inn, or Tavern as it was also referred was the only Inn at Gathurst Bridge in the early 1800's and was located on the north side of Gathurst Bridge over the Leeds to Liverpool Canal. 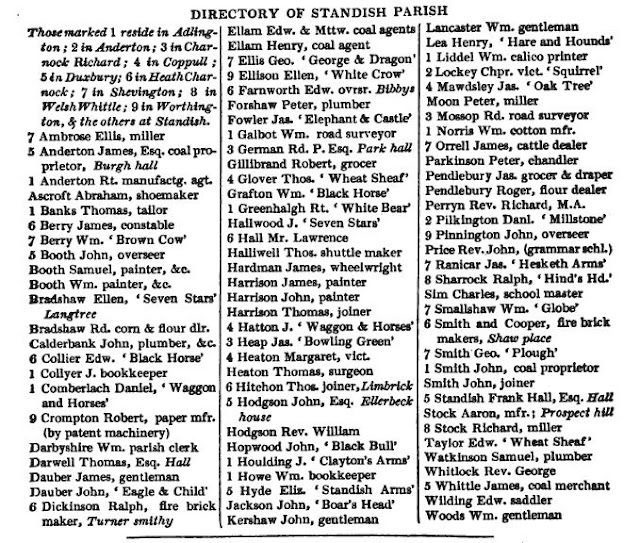 First reference to the Globe is found on the 1824 Standish Directory below when a Wm. 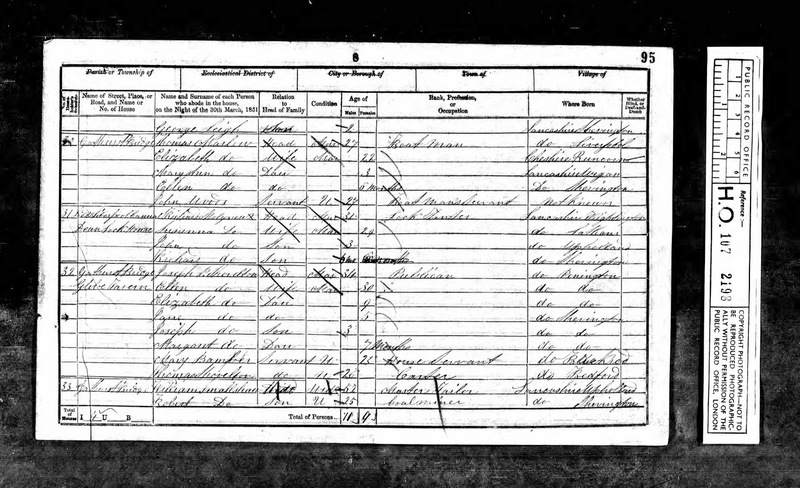 (William) Smallshaw was recorded as the landlord. 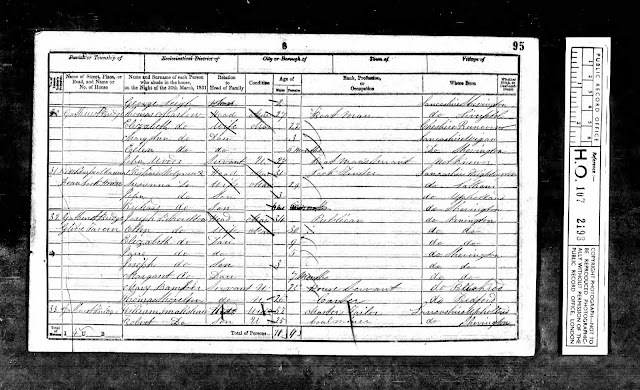 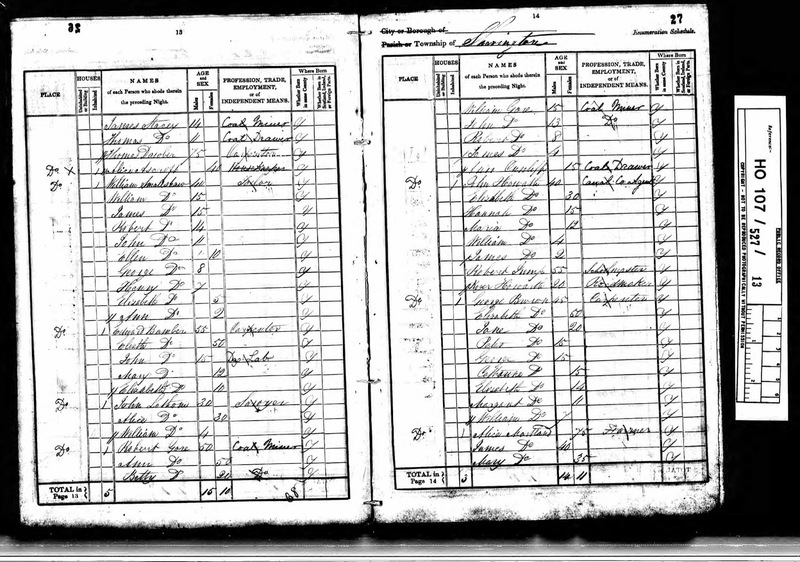 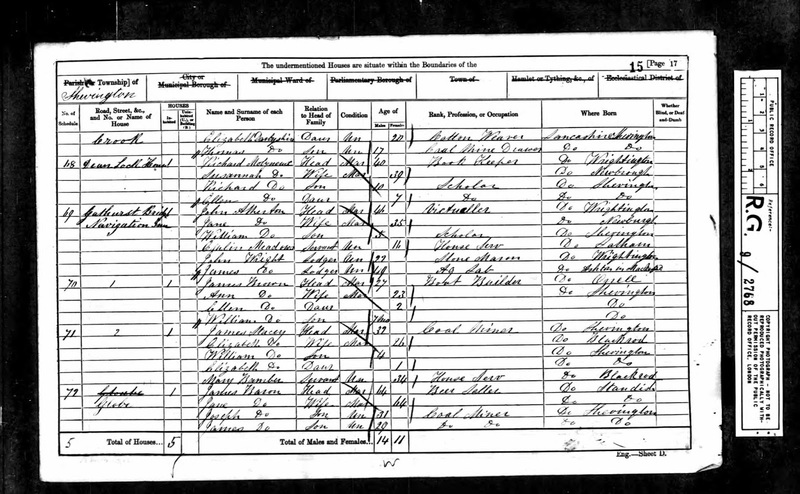 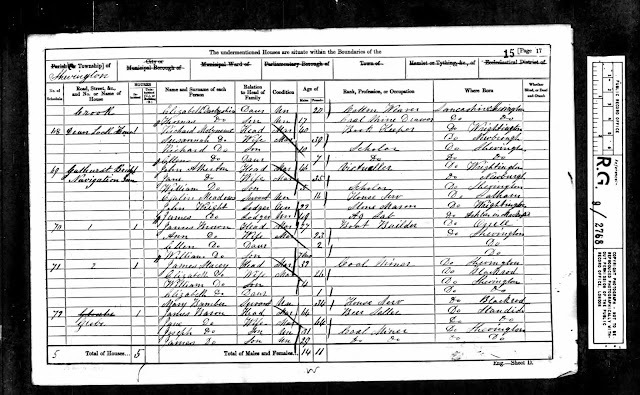 The 1841 census below shows William and his family living at Gathurst and interestingly his occupation is recorded as "Tailor" rather than beer house keeper or similar, so I imagine the Inn was a sideline and not a full-time occupation for him. 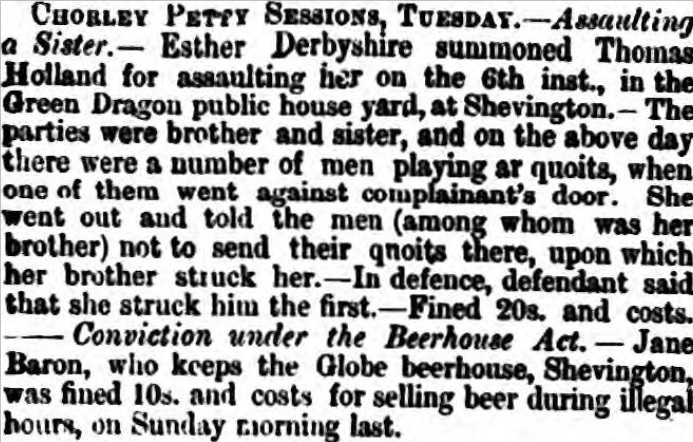 By the time of the 1851 the Smallshaws were living next door to the tavern,now run by Joseph Richardson. Landlords of Globe were William Smallshaw (1824-41), Joseph Richardson (1851), James Baron (1861), Jane Baron (1867) and Thomas Baron (1870-71). You can see from the 1861 census above that the Navigation Inn had been built in the intervening decade and both beer houses continued in business well into the 1870s. 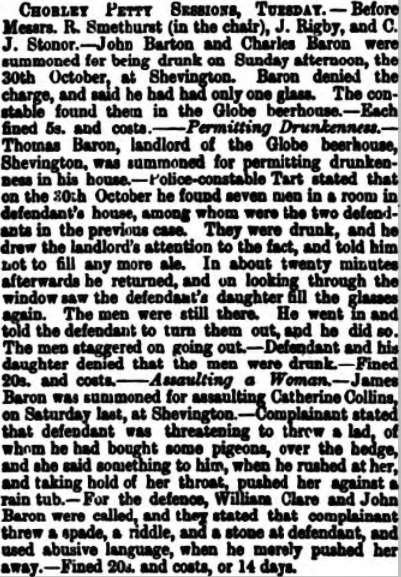 The Barons were no strangers to the Magistrates Court and it may be that their misdemeanours finally saw the end of the licence and the business sometime in the 1870s. 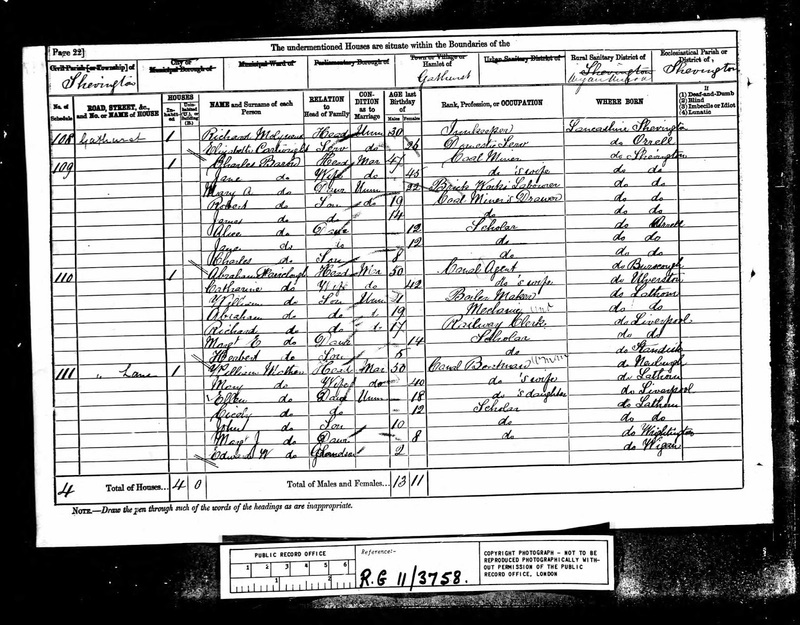 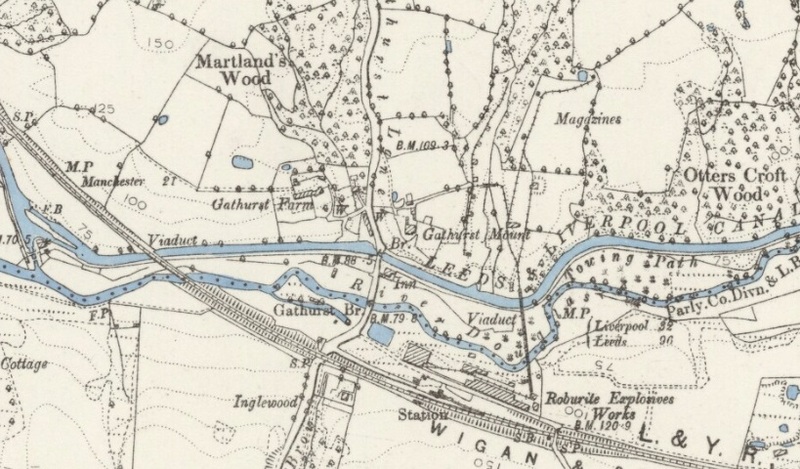 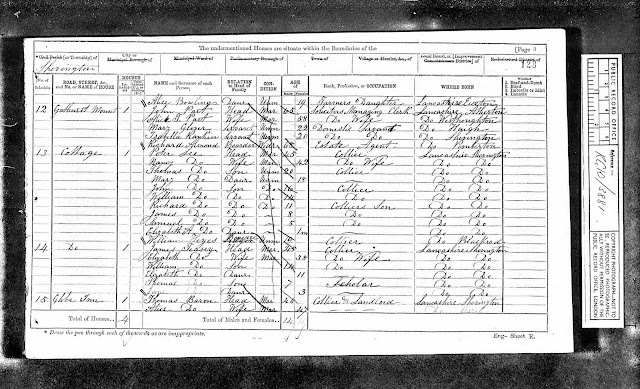 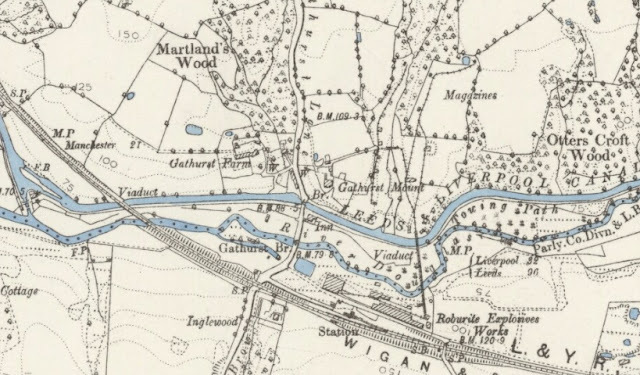 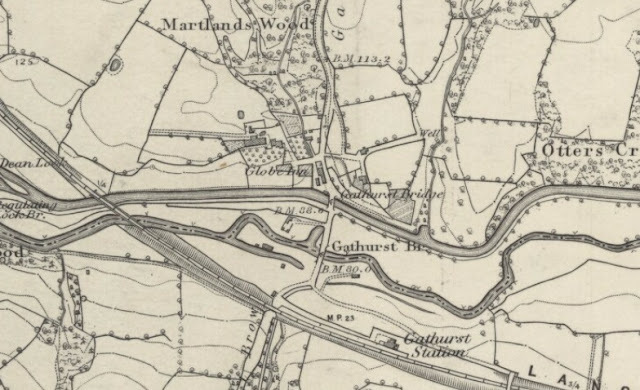 It was on the 1881 census that all trace of the Globe appears to have disappeared although the Baron family, who had been in residence were still living "next door" to the Navigation Inn on the enumerator's route (Richard Molyneux was the Innkeeper of the Navigation in 1881) so it is possible that the business was still going then but by 1892 the map below shows no trace or reference to the Globe. 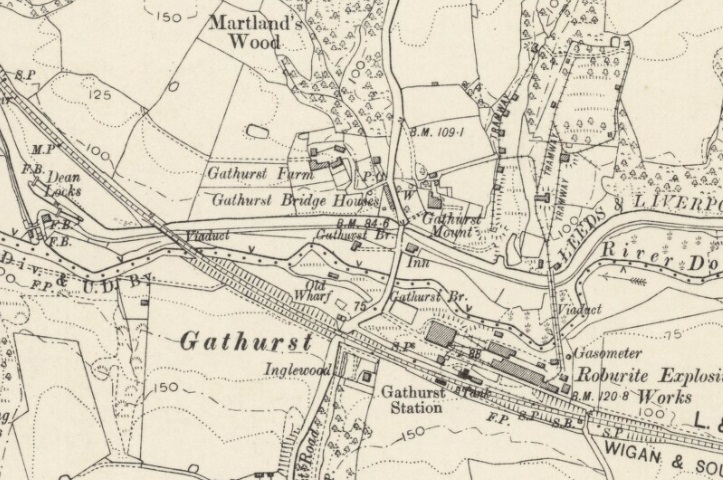 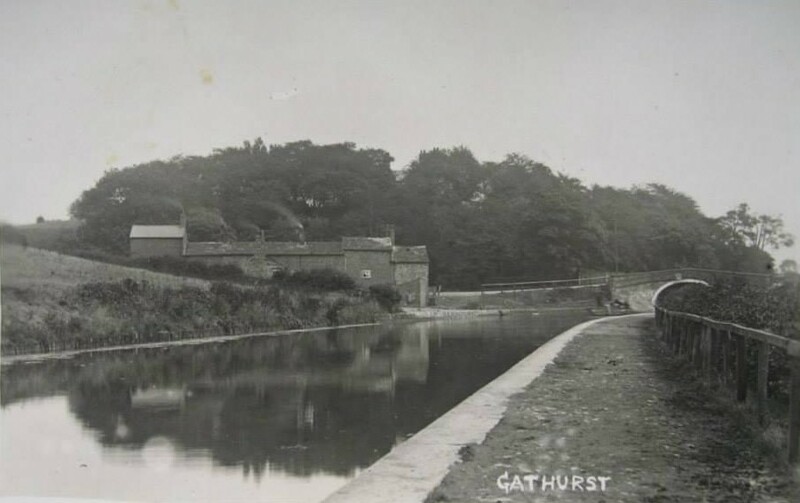 The picture above shows the houses, known as Gathurst Bridge Houses prior to demolition sometime in the 20th century. It seem likely that the Globe Inn was one of the row and was more of a beer house than a fully licensed public house like the Navigation Inn.